The reigning CHAMPION yet largely underrated, from early 1960 to 1990 till date.. 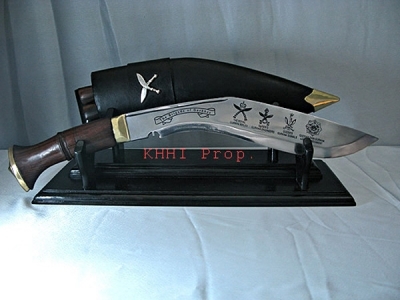 The reigning CHAMPION yet largely underrated >> MK5 or GI5 (KHHI’s version) .. "MUST READ (buy)"
The longest surviving issue kukri whose reign ran across for almost 3 decades from early 1960’s to 1990’s till date but largely overshadowed by the reputation, significance and discussions of various early Gurkha Issues like the MK2, MK3 etc. Variants of GI5 are still issued today even after almost 60 years in the business proves the essential value of the knife. 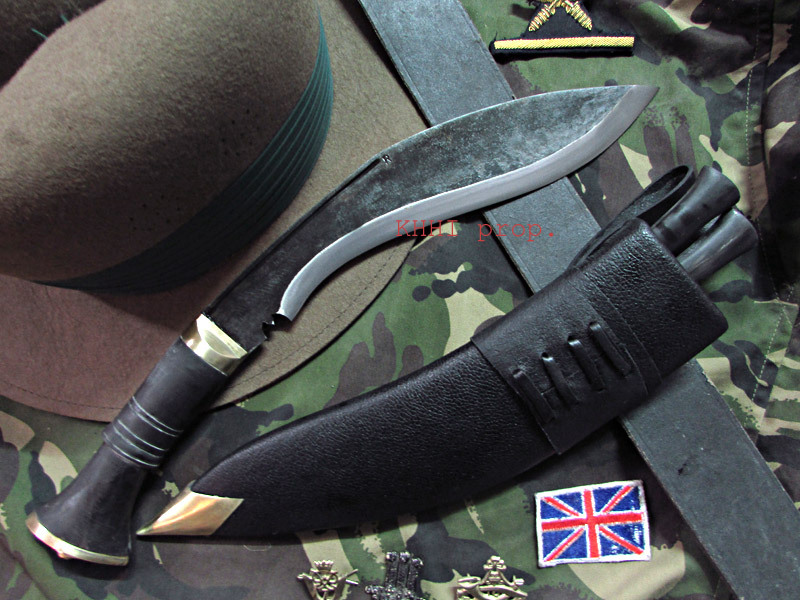 After the 2nd World War and with the modernization and advancement of military gears the khukuri’s primary role as a main weapon was restricted to a mere back-up / utility knife (gear) or rather as an iconic symbol. 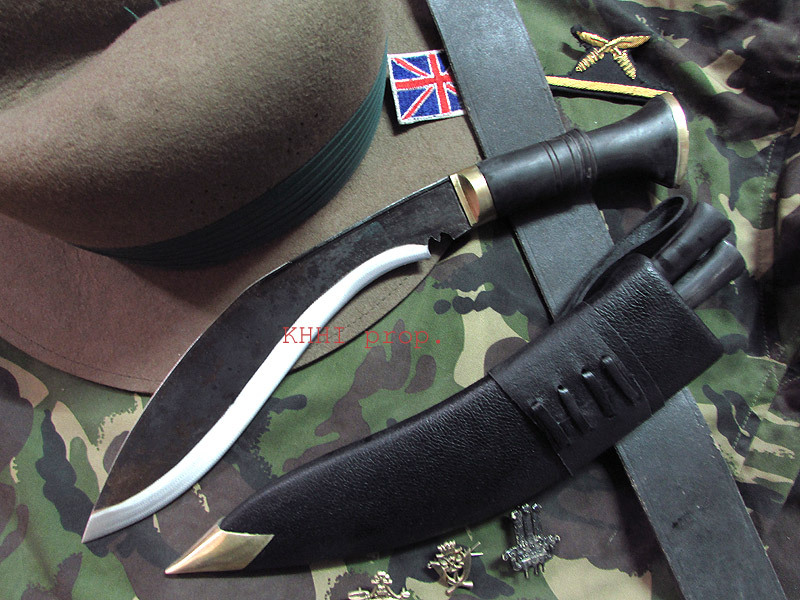 Now the khukuri was seen more as an inseparable integrity of a Gurkha, his self-identity, a sign of courage, honor and pride, rather than a lethal weapon and thus to continue the legacy issue of GI5 was started to each new recruit from around late 1950’s. 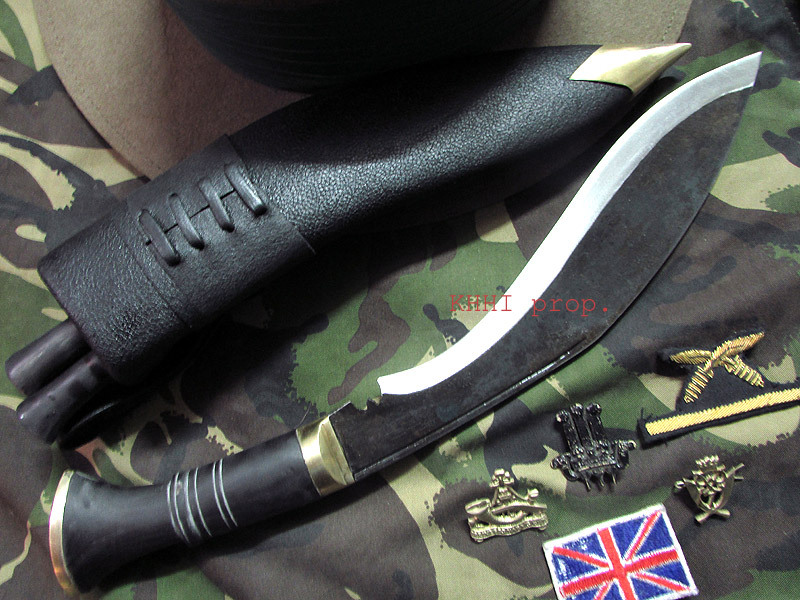 The kukri was objected as a Dress Knife to carry in parade (kukri drill), on duty and other official military services. Blade size was reduced to 10 inch approx, style and shape was changed and GI5s were much simpler and very convention compared to its earlier counterparts; a few of them with very strange shape and many of them with inferior quality, definitely we can say that it was taken as for granted. It remains mystery and confusion as to its exact version, details and facts as it has been hardly documented or archived. 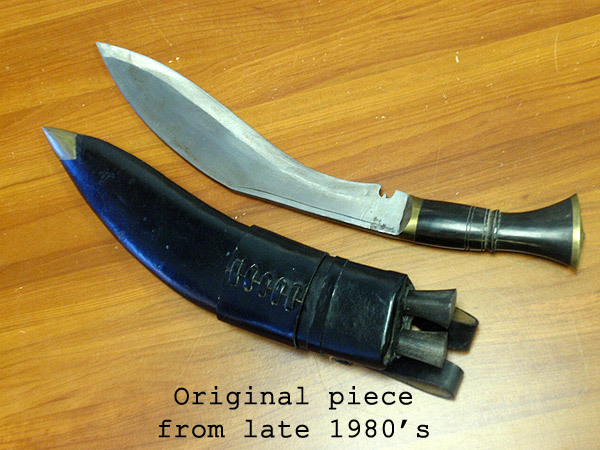 Although GI5 was issued as a “Dress Knife”, supposedly to have well finishing and shiny, the khukuris was not up to the standard required by the army officials for parade. Here it wouldn’t be an offence to write that GI5 was the weakest (poorest) of all Gurkha Issues. Recruits thus had to painstakingly clean the blade and scabbard during their entire nine months of recruitment training. 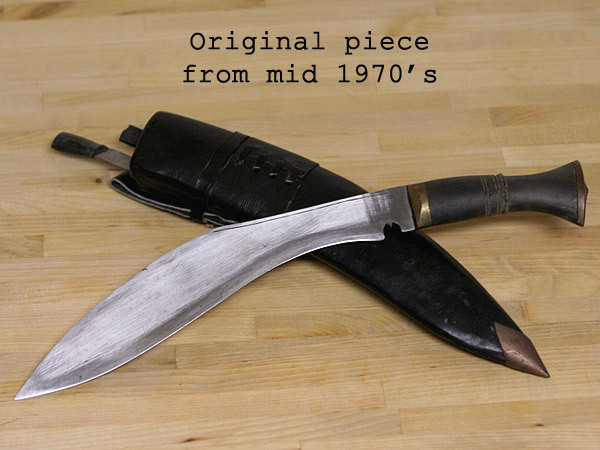 Blades were roughly grounded, unpolished and black topped sometimes, and scabbards were made from raw buffalo hide. 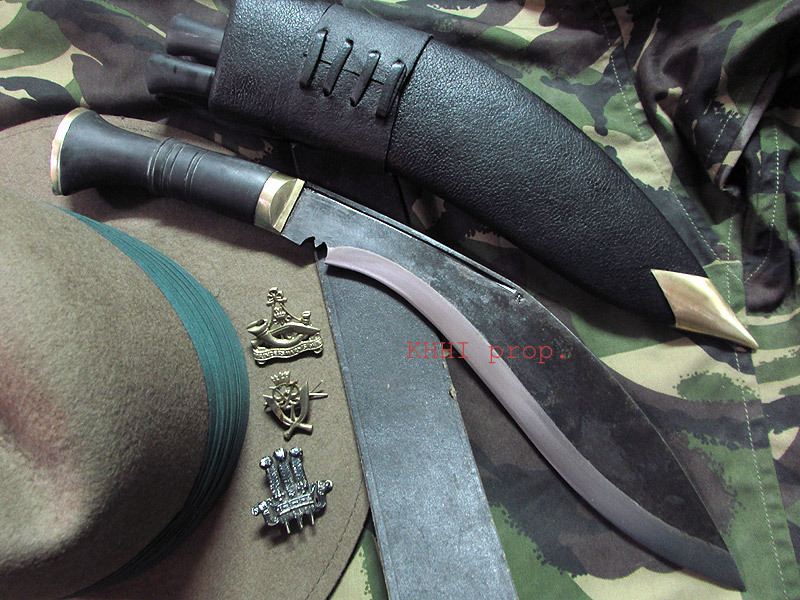 Recruits thus had to literally finish the khukuri with whatever resources available. This trend continued until mid 1970’s after when soldier started to replace the raw hide by patent leather bought from local workshop at the suggestion of their superior. The blades however were mostly self-polished by the carrier. GI5 is also the first issue of its kind that originated (made) in Dharan, Eastern Nepal. In 1961-62 GI5 production started there with the help of some army officials at “Dharan Recruitment Camp”. “Origin” and “Date” were stamped initially for a few batches but somehow discarded or ignored in later years but again done in 1980’s and again discontinued. 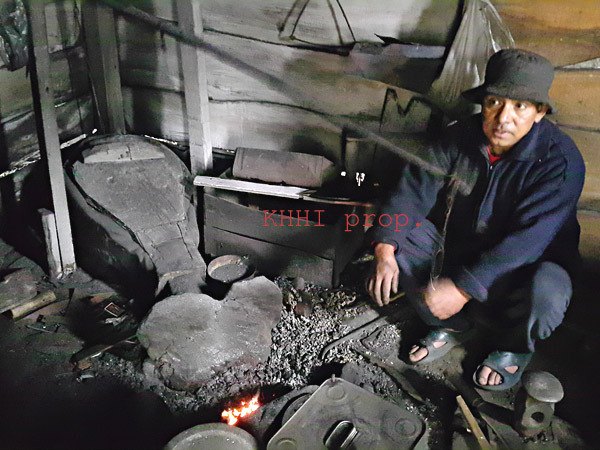 Local contractors made inferior quality khukuris and supplied to the Army in thousands. Nonetheless the modern ones specially after 1990’s when 2 variants of GI5 were issued to a single recruit [#1 (Parade knife) and #2 (Training knife)] are much more better made, shaped and finished. The amazing legacy and feat of the Gurkha Issue Kukris of the formidable soldier is successfully and proudly carried by GI5 and handed over to the new generation. Besides its historic significance GI5 is also an excellent working kukri knife that would with no doubt hold a special place in the heart and mind of the user. 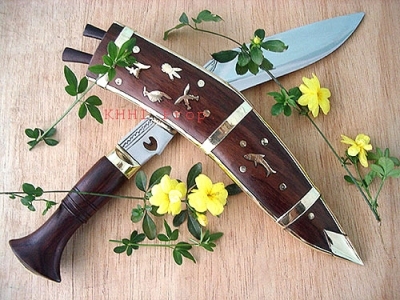 It is an all-out all-purpose utility knife that carries the history and also has all the characters of an assault knife. It’s a well balanced kukri blade and made of the highest quality. The blade comes in RAW format to ditto reproduce the classic ones when they were first made for the army. Even the two accompanying knives, Karda and Chakmak, have the RAW black finishing. Size of Blade: 10-10.5 inches approx. Handle Size: 4.5 inches approx. I have so many khukuris now it is difficult to determine which one I like the most. I have to say that this one is a very fine and beautiful blade. Light weight and feels great in the hand. Same size as some of the others but feels lighter and shorter. Construction is very well done. Wish I could carry them all. Thank you for another great blade. Thank you. The knife was amazing and work and craftsmanship was excellent! I would like to order another but likely add a kydex sheath if you still are able to do that. So I get my order right, is there a copy of the features I requested on my knife? I think it was the cuts on the handle (rings around the water buffalo horn), the landyard hole, the black coating and the chisel tip. Is the best way to order the way I did before on the webstite. thanks. Namaste.